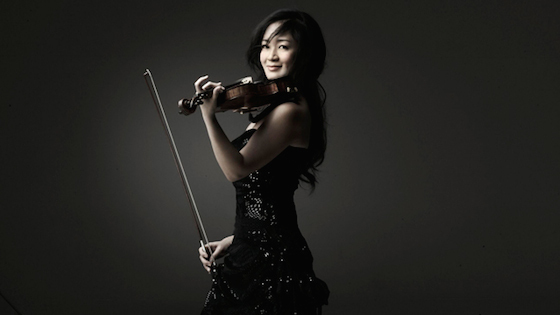 Chee-Yun performed Mozart's Violin Concerto No. 4 with the National Philharmonic. The Washington Post: "She plays a Stradivarius on loan, and the two are a good pair. She has a splendid bow-arm and great dramatic instincts, and the instrument sings for her with that ineffable Strad sweetness." Noah Bendix-Balgley performed works by Janacek, Brahms and Strauss, in recital with pianist Orion Weiss. Pittsburgh Tribune-Review: "Each of the musicians played superbly, but it was their rapport that lifted the concert to a higher level at which the character of each piece was fully realized. Their interplay served the music moment to moment, as when a single note from Weiss was fit perfectly to complete a phrase played by Bendix-Balgley. Kolja Blacher performed the Brahms with the Melbourne Symphony Orchestra. The Sydney Morning Herald: "Blacher showed an admirable mastery of the concerto's technical demands, as did the orchestra which escorted him with unfussed consideration." Rachel Podger performed the Bach with the Orchestra of the Age of Enlightenment, and joined Kati Debretzeni, Margaret Faultless, and Matthew Truscott for Telemann's Concerto for Four Violins. Independent: "If Podger’s account of Bach’s great Chaconne lacked the necessary spaciousness and oomph, her performance in a rarely-performed concerto by Pisendel was majestic. Encore: Air on a G String, rinsed blissfully clean of all the usual cliches."